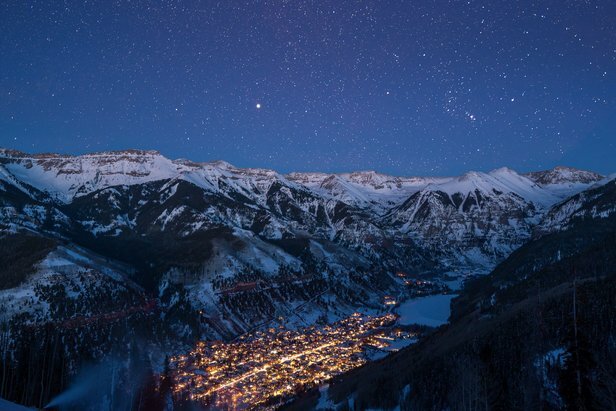 16 inches of light white gold has fallen over night in Telluride. The storm has cleared to reveal a bluebird sky with a few cumulus clouds and a landscape that sparkles in a coat of fresh white. This is the type of day that avid skiers and riders dream about. 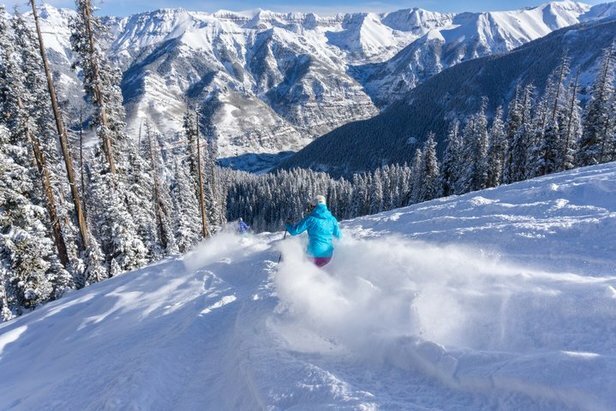 Here is a guide to help you maximize a powder day in Telluride. It is a powder day; time is of the essence so grab a cup of coffee and a hearty breakfast burrito from Telluride Coffee Company, Tracks or The Pick and head over to Lift 4. On such a big snow day, diehard skiers will get in line before the lift opens at 9 a.m. to ensure a prime position to enjoy fresh tracks. Ride Lift 4 and then ski over to Lift 5, which is a playground of powder. Stashes can be found in the low angled trees off Silver Tip and Alta. If powder-covered bumps are your jam, hit Henrys. If your legs start to experience the powder burn, no problem. The runs off 5 are on the shorter side and converge into a groomed run that takes you back to the chair. Rest your legs and do another lap. After a few laps on 5, it’s time to head over to Chair 12 (Prospect). The view from the top of this lift is a jaw dropper. Wilson Peak fills the backdrop and Alta Lakes is nestled below. Chair 12 is full of wide-open runs with trees intermixed, so stashes of powder are plentiful. Check out Prospect Woods or simply follow any of the runs back down to the lift. Repeat. Your legs could probably use a break by now, so what better time than the present to refuel? Head over to Chair 14 (Gold Hill) and ride it up. Be prepared to be awestruck at the top for some more spectacular views and serious eye candy in all directions. 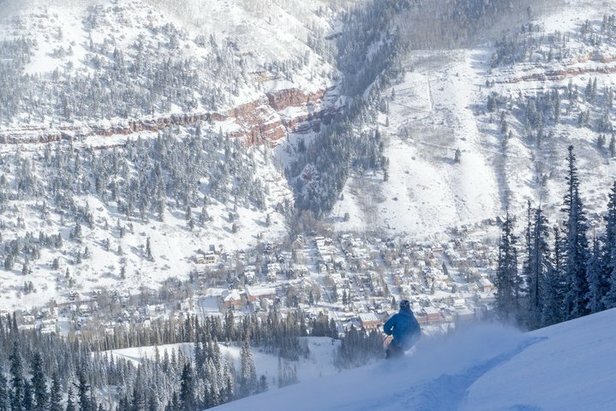 Enjoy the iconic groomer, See Forever (check out the views all the way to Utah) down to the Mountain Village where you can refuel at Gorrono, which serves up classic American or ski down to the base of Lift 4 to enjoy Tomboy Tavern. End the day with some cruisers off Lift 4. Misty Maiden, Peekaboo or Smugglers will hit the spot after a long day on the slopes. Swing by Oak or Black Iron Kitchen for après and call it a day. 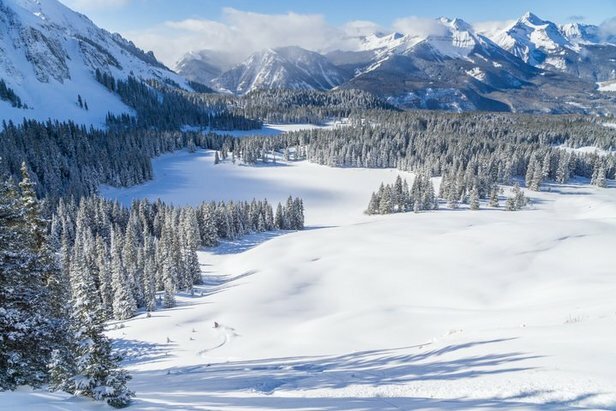 On the perfect powder day, Telluride is off the charts. 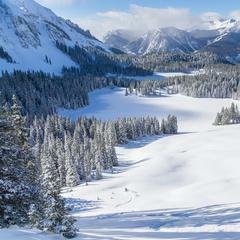 The steep pitches and challenging terrain evoke hoots and hollers from skiers and riders in a blissful state as they float on a blanket of white. Start the day off right and fuel properly so you can last all day on the slopes. Grab a gourmet breakfast sandwich and latte from Butcher and the Baker or sink your teeth into a breakfast bagel with a cup of joe from Baked in Telluride. Savor the morsels as you walk to Lift 8. Warning: Lift 8 attracts a VERY passionate group of snow riders. There will be a large powder posse lined up well before the lifts open, just jonesing for fresh tracks. Ride Lift 8 to Lift 9. Every run on 9 is amazing on a powder day and will not disappoint. If you are looking for a groomer with fresh powder, hit Bushwacker or the Plunge. 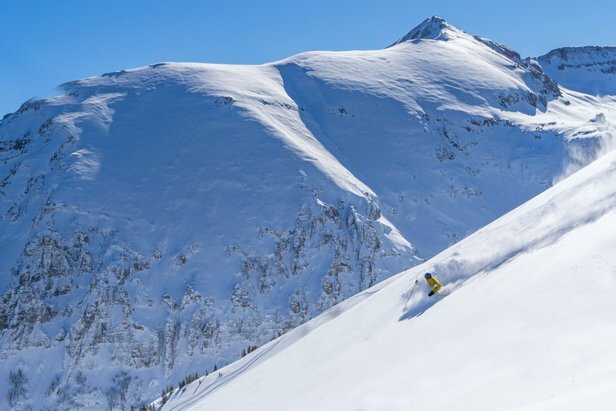 If you want steep, soft bumps that you can plow through, head to Kan’t Mak’ M or Mammoth. 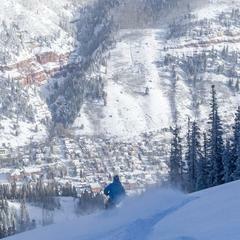 Lift 9 offers 2,125 vertical feet so you get a lot of bang for your buck. Do several laps here and you will be tired. When your legs are screaming, take a break and head to Giuseppe’s at the top of lift 9. The potato black bean sauté will hit the spot and provide necessary fuel for the afternoon session. With a full belly and even bigger smile, it’s time to head higher up the mountain to Lift 14 (Gold Hill). Take your pick—Dynamo, Electra, Little Rose—all runs on Gold Hill are holler worthy on a powder day. Dynamo and Little Rose offer a wide-open slope where you can rip large turns as snow flies overhead. Be adventurous and cut into the trees to find your own secret stashes. The Gold Hill Lift is a quad and it’s quick, so you can really test your fitness by doing laps here. But be sure to save some energy for Lift 15 (Revelation), which offers a wide open bowl of powder. Hitting this terrain when it is untracked is truly a revelation. Some of the tastiest turns on a powder day are often the ones that you work a little harder for. The hike-to terrain usually opens a bit later in the day during big snow events, so if your body and legs can handle more exertion, hike the ridge off Black Iron Bowl. Gage your energy levels, and if you are at your limit, drop in at Crystal, La Rosa or Genevive. If you are flying high from the adrenaline of the day, hike all the way up the ridge to Mountain Quail, a sweet chute with a really fun pitch that fills in DEEP (approximate hike time is 30-45 minutes depending on fitness level). The Gold Hill Chutes are exceptional on a powder day as well. All Chutes are accessible from Lift 15 (Revelation), and Chute 1 does not require a hike. The hike to access Chute 2 is about 15 minutes. Chutes 6–10 are a bit farther, about 20–30 minutes from the top of the Revelation Lift. Check out the bridge and staircase accessing Chutes 9 and 10. 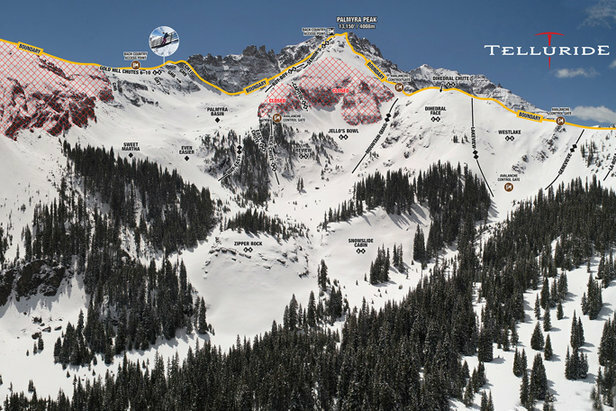 The Gold Hill Chutes are not open continually, so check for current information on the signs or the new Telluride Ski Resort app before you make the hike. The expert-only chutes go down below the skyline saddle and dump into Palmyra basin below.